Here is an explanation of the programmes that can be found as part of the ‘Training Search’ on the home page. Pre-employment training is designed to help people move towards work. It includes one or two-year-long study programmes – such as BTECs or other vocational qualifications that provide industry-specific vocational skills – and shorter programmes to help people prepare for work. Pre-employment training programmes may be work-based or in the classroom, or both. They are offered by private training companies, colleges or welfare-to-work programmes and often include work experience, introductory occupational skills, help with English and maths, and writing a CV and interviewing skills. Pre-employment programmes can lead directly to work, or on to traineeships, apprenticeships and degree-level education. Traineeships are government-funded work experience programmes designed to help people who are nearly ready for an apprenticeship or work, but who need a little support to get there. Traineeships include work experience, work-readiness training and help with English and maths if needed. Traineeships are designed to lead on to an apprenticeship or other paid work. More details are available here. Apprenticeships are a job with training. They offer a mixture of on and off-the-job training which gives the apprentice the skills and the qualifications they need to progress in their chosen career. 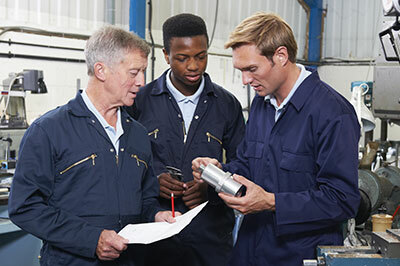 While you are on an apprenticeship, your employer pays you a salary and supports you in your training. Apprenticeships are available to anyone over 16 and living in England. There are different entry requirements depending on the sector and the job. More details can be found on our Frequently Asked Questions section, or on this factsheet from the National Apprenticeship Service.